Comfortable and charming Cherokee Oaks home. 2 Bedroom and 2 Baths with wood flooring throughout. Cozy living room with a fire place for winter nights. Kitchen has painted cabinets, island and includes stove, microwave, dishwasher and refrigerator. The master bedroom has master bath, walk-in closet and free standing electric fireplace. Large laundry room with washer and dryer leads into the attached 2 car garage and has door to the backyard. 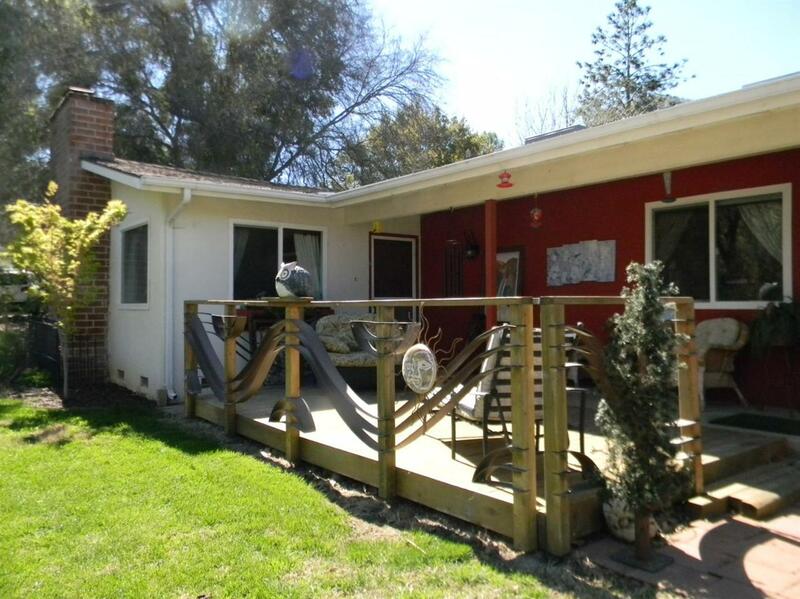 Wonderful front deck, artistically designed is perfect for relaxing or entertaining. The huge back yard has an above ground pool for the hot summer days. Furnishings are negotiable.